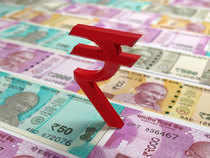 Rupee rose against the US dollar primarily on back of fund inflows as FIIs continued to remain upbeat on India economy. Last week, inflation and industrial production were slightly disappointing suggesting that the RBI in its coming meeting could consider cutting rates. Inflation in February rose and at the same time industrial production fell in January. The RBI in its latest circular decided to hold a $5 billion foreign-exchange swap auction for a three-year tenor in a step to curb further appreciation of the currency. For the week, if the flows continued to remain strong the rupee could continue to trade on a stronger note. Euro came under pressure after the ECB in its policy statement decided to hold rates unchanged and held a dovish stance. The central bank expect them to remain at their present levels at least through the end of 2019, and in any case for as long as necessary to ensure the continued sustained convergence of inflation to levels that are below, but close to, 2% over the medium term. Recent economic numbers released from the euro zone have been in line with expectation, but importantly the currency has been getting trigger from the Brexit vote. Market participants will also be keeping an eye on the FOMC policy statement and expectation is that the central bank could maintain a dovish stance this could extend gains for the currency. Apart from FOMC policy statement, the EU summit will be important to gauge a view for Euro and pound. Pound continued to trade with volatility but broadly remain in the higher range after the UK Parliament signalled that it is strongly against leaving the European Union without a deal. On the 14th the UK Parliament voted to postpone the Brexit deadline — but it’s now up to the European Union to agree to an extension. May has said that she would ask the EU for “a short limited technical extension,” until June 30, if Parliament approved her Brexit deal on March 20. This week, from the UK EU summit will be important to watch and if the UK Prime Minister manages to get an approval on the extension of deadline then the pound could extend further gains. In the recent past, market participants have been focusing less on the economic number and more on the development on the Brexit front.